Parts of this tour make use of portable audio headsets on guided tours, allowing you to hear your guide clearly wherever in the group you are. We meet our group and Tour Manager at our dedicated Departure Office in London St Pancras International today, where our adventure begins. Leaving on the Eurostar to Paris, we travel in Standard Premier Class. On arrival in the French capital, we continue by high-speed rail to Turin, where we overnight. On Day 3 we continue by rail and coach to Lake Garda. 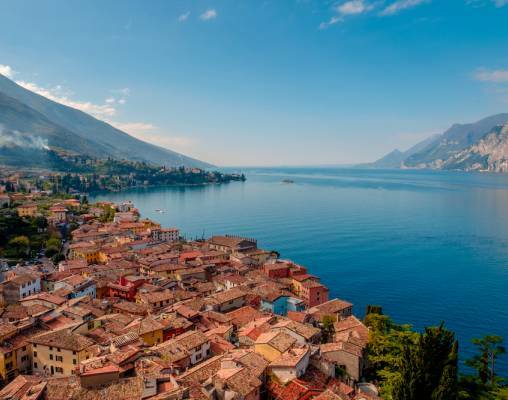 We arrive at the southern end of Lake Garda, where the lakefront is almost sea-like and inviting beaches line the shores of the wide expanse of water. 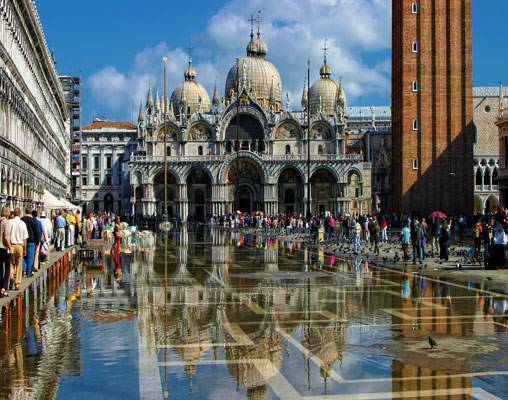 Our destination is the charming town of Sirmione, situated on a peninsula jutting into the lake. 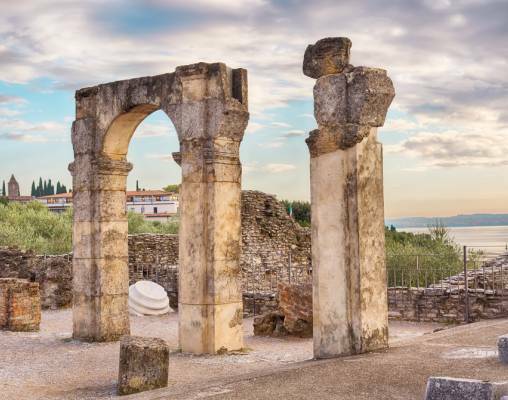 Surrounded on three sides by water, Sirmione is one of Lake Garda's most peaceful towns. 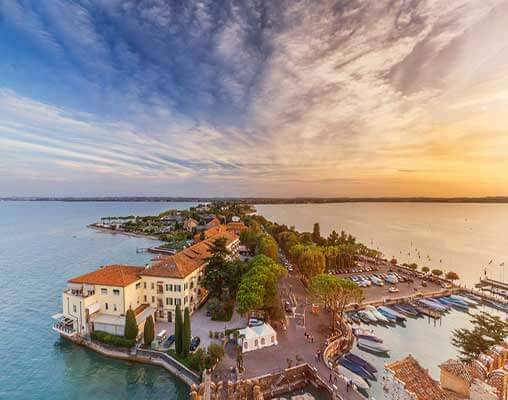 The 4-Star Hotel Continental is located close to the historical center of Sirmione overlooking the shores of the lake and just a short walk from the town center. 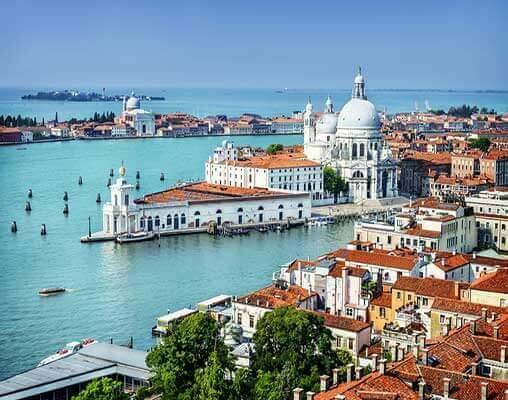 The hotel has been completely renovated, yet retains traditional features including its impressive white marble staircases and Venetian Murano chandeliers. The hotel has a restaurant and a lounge bar as well as a garden terrace and a private jetty. Leisure facilities include an outdoor swimming pool and a well-equipped wellness center, which boasts a sauna, steam bath and an emotional shower, as well as a choice of iodine therapies, massages and beauty treatments (payable locally). The rooms are classic in style and have a balcony with a view of the gardens or lake. Other facilities include a hairdryer, safe, telephone, television, minibar and air conditioning. 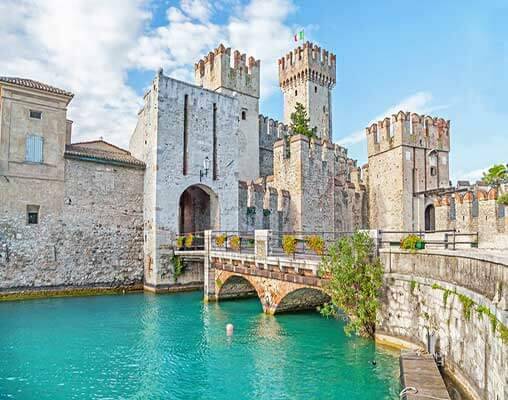 Enter your details below if you would like to be notified when 2020 dates and prices are available for Sirmione on Lake Garda.